Autumn is coming with cooler temps, leaves changing color, pumpkin spiced everything and football season! 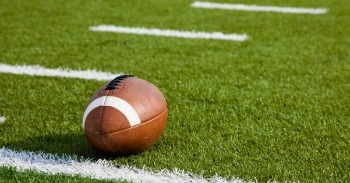 As you settle in for a new slate of games, consider 5 ways smart grid resembles football. 1. Smart Grid Means a Whole New Season in the Way You Use Energy. As our newly kicked-off Next Innovation video reveals, “we’ve evolved the way we purchase goods, communicate, streamlined computing and how we power our lives.” With technological advances and the growing capability to utilize clean renewable energy, the smart grid will offer you, the energy consumer more convenience, savings and choice. Gone are the days of being surprised by your electricity bill at the end of the month. With smart grid, you can go online to check your hourly and total utility usage. The system lets you monitor your consumption to see time of use pricing and peak time rates. By tracking your bill to date, you’ll be able to call the right plays to lower your monthly energy expenditures. 3. Smart Grid Puts Up a Strong Defensive Line Against Your Carbon Footprint. Did you know that 30% of greenhouse gas emissions come from electricity? * By enabling clean energy sources, smart grid recruits some pretty strong and talented players onto its energy team like wind, hydropower and solar. In fact, even the NFL and other major US sports teams are getting into the smart grid game and using renewable energy for their arenas. Plus, smart grid makes emerging grid technologies like electric vehicles convenient & affordable to operate, too. When it comes to the environment, that’s what you call a winning game plan. 4. Smart Grid Tackles Power Outages More Quickly. Power surges, brown outs and blackouts are costly and inconvenient. With the new grid, your utility company has the information they need to act more efficiently and smarter, too. With smart grid, outages can be pinpointed more rapidly to restore power faster and keep your electricity in play. 5. With Savings and Convenience, it’s No Wonder Smart Grid has Lots of Fans. By offering plans to fit your budget and lifestyle, smart grid scores a touchdown. And for your smart home, you can go online and choose to have your smart appliances and devices automatically adjust their run schedule to off peak times when energy costs are lower. It’s just one more thing about smart grid to make you stand up and cheer. For more information about Smart Grid, take a quick time-out and watch our new video – The Next Innovation.